A log home requires systematic care and maintenance in order to prevent any kind of deterioration. When a log home is designed there is ample care taken in order to prevent shrinkage and settling of the log homes. The dry walls around the logs are scribed and the electric connections and plumbing connections are done with expertise initially… Some of the problems faced by log homes are the rotting of wood due to trapped moisture or the interior rotting of logs owing to their old age. These problems are generally skin deep only and a beautiful interior waits to be uncovered. Surface Preparation: The initial stage of Surface Preparation involves the stripping of coating or film if it is required. The dirt deposited on the logs can easily be rinsed off with ample water. The corners and edges should be cleaned well as they tend to become little black due to deposition of dirt and slime. This can be taken care of by bleaching with a little amount of detergent. This works quite well for basic cleaning. However special reagents are available in order to achieve high scale cleaning. Pressure washing is also one way of cleaning the log homes with pressurized water spray. Preserving: Preserving of log homes requires detection of rot inside the logs. Rotting of logs is an internal process and cannot be visible from the exterior. If any rot is seen in the log homes it should be immediately addressed. Rot is an internal process and it has to be detected with expertise as it is present inside the logs. The basic step to detect rotting is by hitting the logs with a hammer. The hollow tone of the tapping will indicate rotting Preservation of logs can be done by borates. Borates are free of smell and can deal with almost all types of rotting and are one of most convenient ways to preserve the logs. Several preserving agents are available if required but they may be very strong and utmost care should be taken while using them. Staining: Staining involves the application of wood finishes to the logs. The wood finishes are supposed to saving the wood against sunlight, water seepage and organic growth. 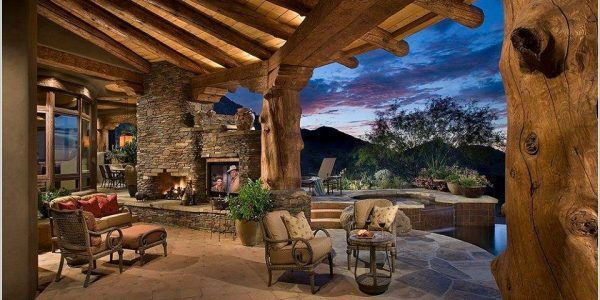 It’s always advisable to have a natural finish and the log homes should have a look of natural logs. If any strong colors are applied they may fade or be deteriorated due to atmospheric conditions. Sealing: The last and final step is to apply sealants. Sealants are generally used to prevent water seepage or air transmission. The plumbing areas are the most affected places. Corners and doors and windows require the sealants the most. The main thing to remember here is that these should be sealed from outside. Several sealants are available for sealing the crevices in the log homes. These can be selected based on the requirements. In conclusion, the restoration and maintenance of log homes is quite manageable if the right approach is applied. The restoration process should be done initially before shifting in the log homes. Log homes are really fun places to live once they are fully restored and maintained. 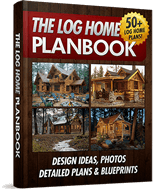 Get instant access to 100 log home plans, floor plans, ideas and inspiration! 100% FREE. 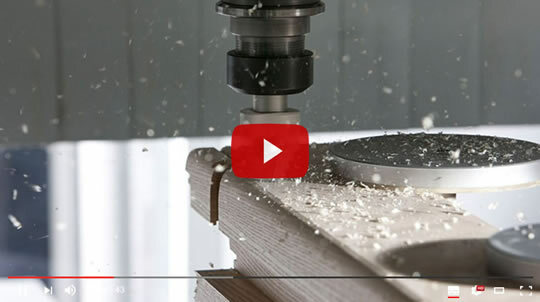 DIY Magic Saw Builds Any Wood Project On "Auto-Pilot"
How To Choose A Log Home Builder?